Need Your Website Redesigned or Updated? Obtaining website updates in Florida doesn't have to cost a fortune. We offer services "on the fly" saving you money on costly monthly maintenance fees and high priced hourly fees. Whether you need your website re-designed, search engine optimization services, or you require simple content changes, we're here for you. 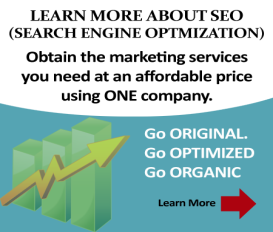 Click here for additional information about our SEO services. Website Updates - Updating your Tampa, Florida website can be a challenge. Click here for more information on our web update services. Simple Website Updates - Add content, photos, forms, documents or articles to your website. Website Re-designs - If your site needs a total re-design, we offer affordable options and website design packages that will serve your unique requirements. If you would like a quote for our website re-design services for your Tampa, Florida website please click here to view our packages and pricing.